The French are “different.” You’ll often hear this in conversations among the “Anglo-Saxons,” as the French like to call English-speakers. “Different” means charming, challenging, uncooperative, questioning, and doing things in their own way and to their own advantage. So what makes them so distinctive? And how do you get through to them? What is obvious is that the French have a keen sense of national identity, which comes from their history and their language. France was a considerable colonial power, with interests around the world. French was the language of international diplomacy from the seventeenth to the nineteenth centuries. The French Revolution changed the course of history. By looking at the attitudes and values of the French, and explaining how French life and business works, Culture Smart! France shows you how to fit in as a foreigner. 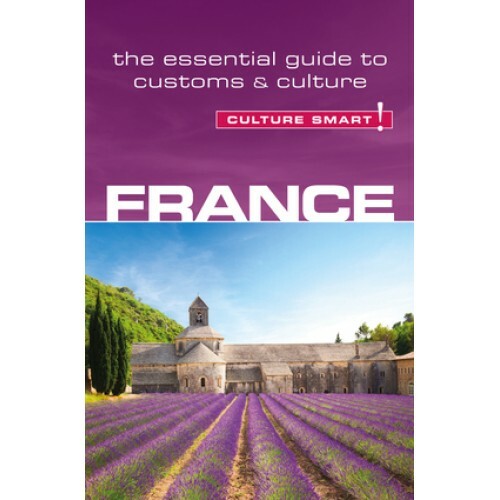 It gives practical advice on how to avoid the pitfalls and how to do things the French way, and to get results as you do so. It takes you through French history, festivals and traditions, the French at home, on the road, in the restaurant, and at work. Above all, we show you how the French communicate, and how to get the best out of this occasionally frustrating yet totally charming and brilliant people.